Don't have the time to update or maintain your website on a regular basis? iMax has professional, cost-effective, web designers who are available to edit your website for you, whether it be on an as-needed or regularly scheduled basis. As-needed services are perfect for individuals who need changes made to their site from time to time, but don't have the need for a regular maintenance program. 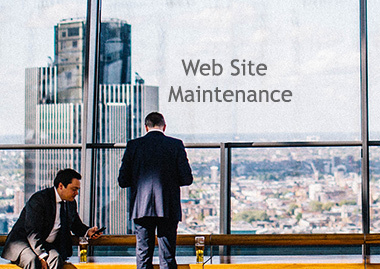 For those individuals who want or need to make frequent changes to their site, iMax also offers a Scheduled Maintenance Program, which is customized to meet your specific needs. Keeping your site fresh and relevant is a key step to remaining at the forefront of your local community. Take advantage of the iMax site maintenance services and make sure you are staying ahead of the crowd.